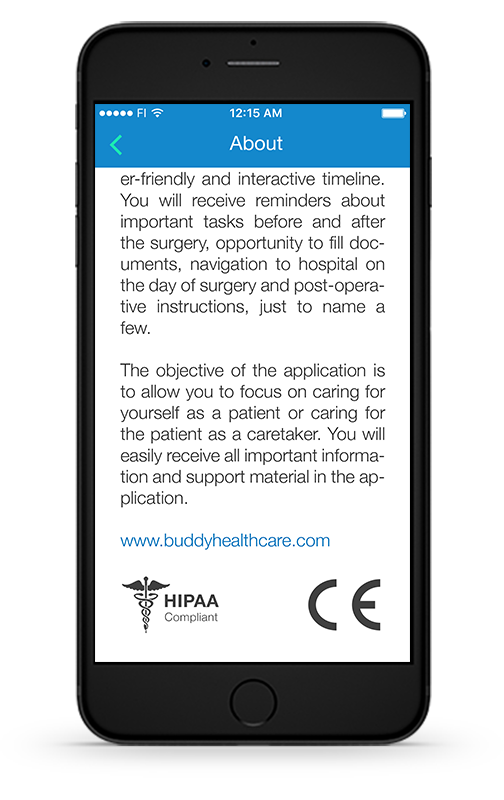 The interactive timeline in the BuddyCare app provides patients with instructions precisely when they need them. The chronological order of events makes it easy for patients to follow everything that needs to be completed throughout the process. 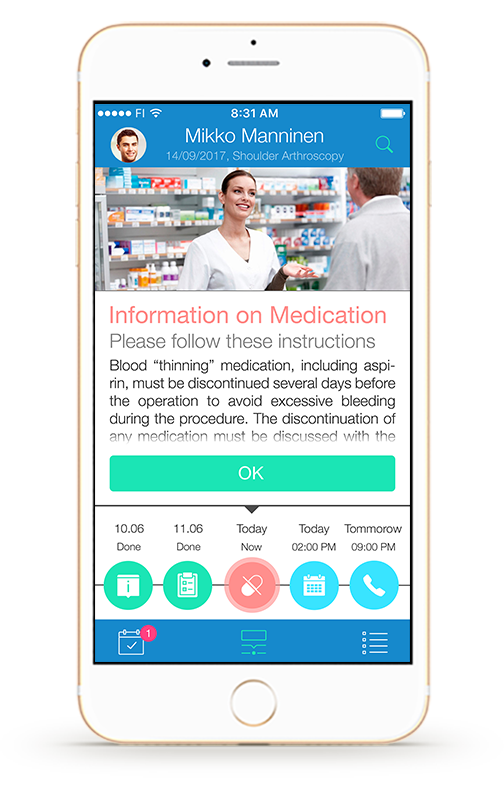 Patients may easily fill forms, such as anesthesia pre-questionnaire, in the app and submit them to the clinic through a secure channel. Care personnel is notified about answers needing attention and patient informed about form approval. Patients will receive automatic notifications about vital preparation tasks such as when to stop eating, drinking and certain medications before surgery. Care personnel can easily identify patients who may have issues with the tasks. 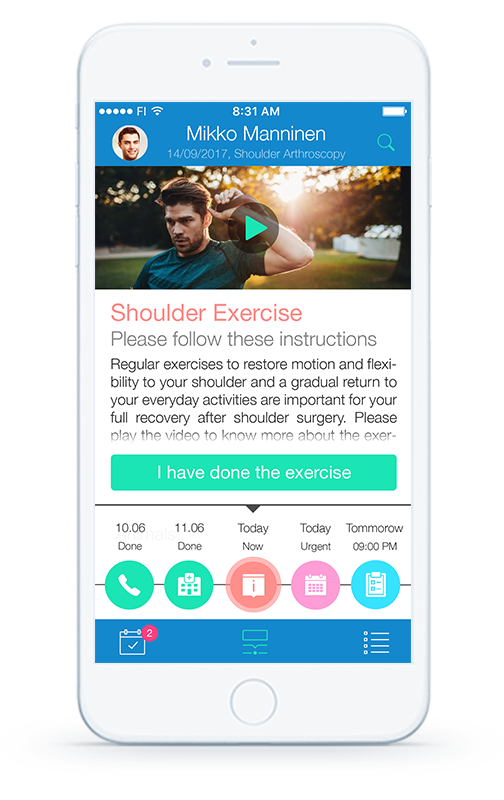 BuddyCare implements the principles of Enhanced Recovery After Surgery (ERAS) protocols to enhance early mobilization after surgery. 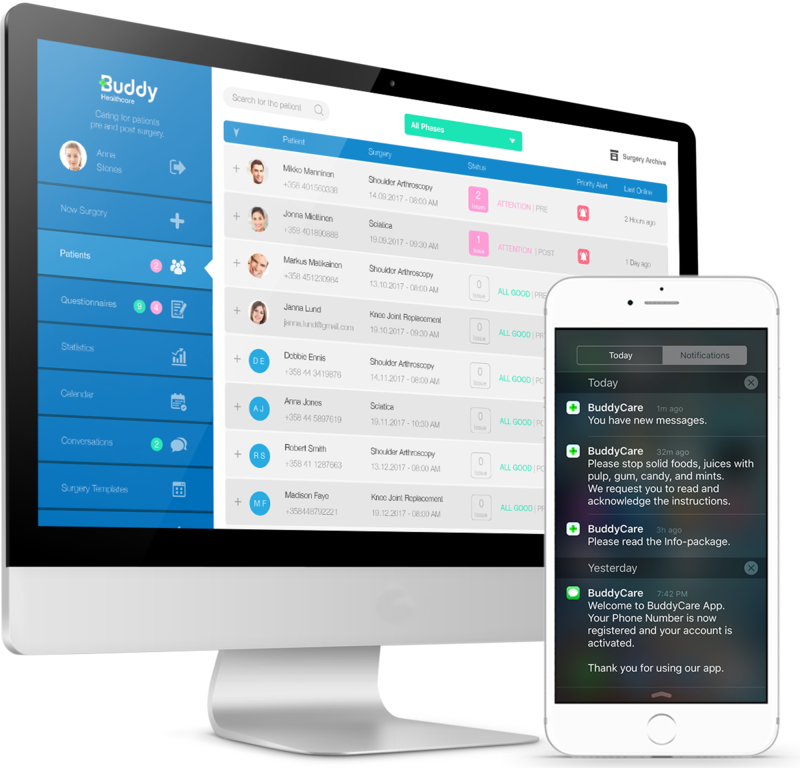 BuddyCare contributes to help run things as “normal” as possible before and after the procedure. Patients are instructed with physiotherapy exercises, wound care instructions and list of medications after surgery. Interactive timeline allows care personnel to monitor if post-operative instructions have been followed or not. 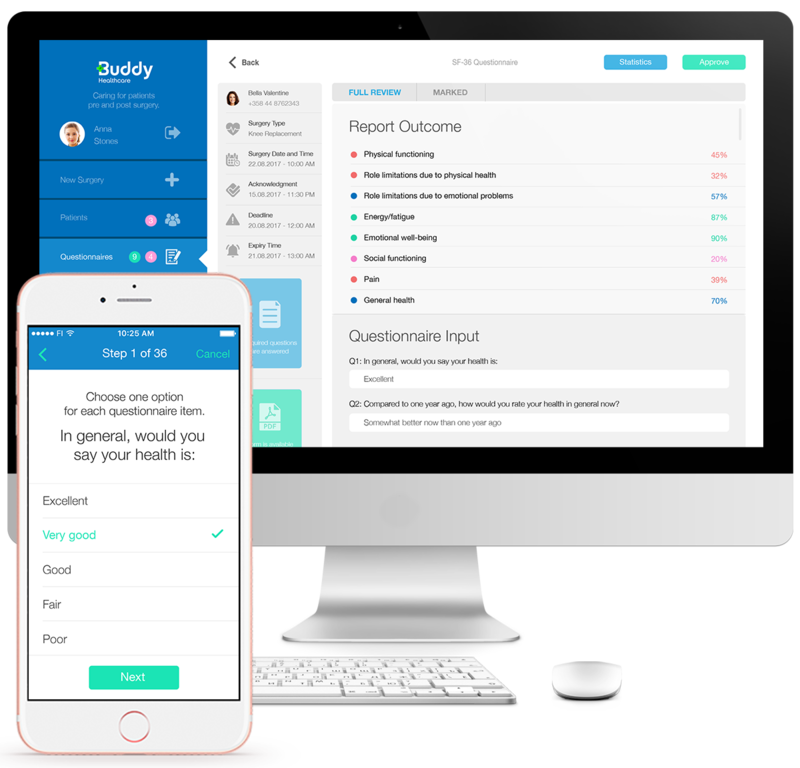 The BuddyCare App allows care personnel to monitor recovery progress after surgery through various PROMs. 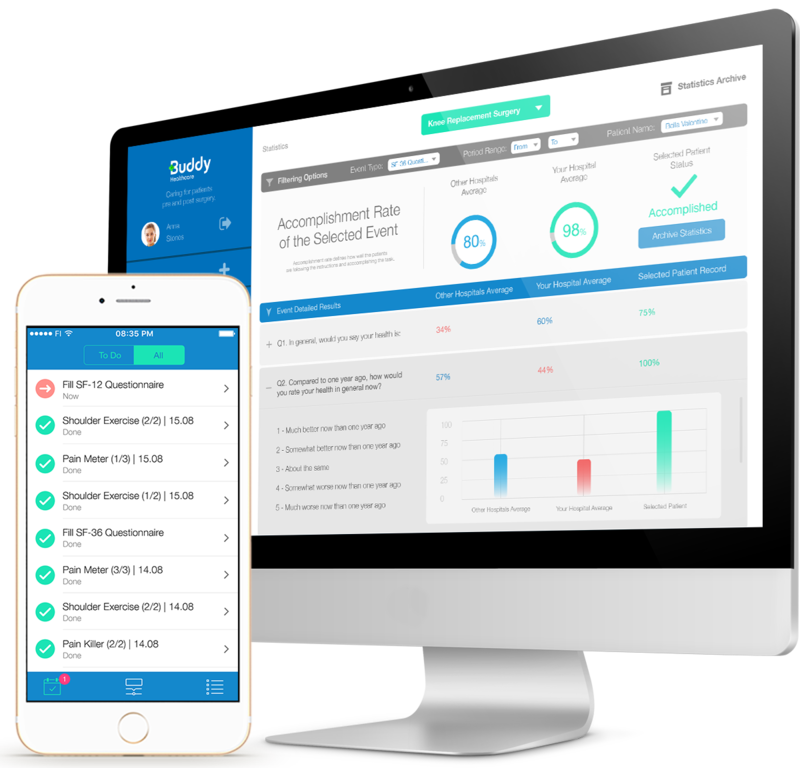 Data submitted by patients is visualized and categorized in the BuddyCare Dashboard for easy follow up. Make a difference! 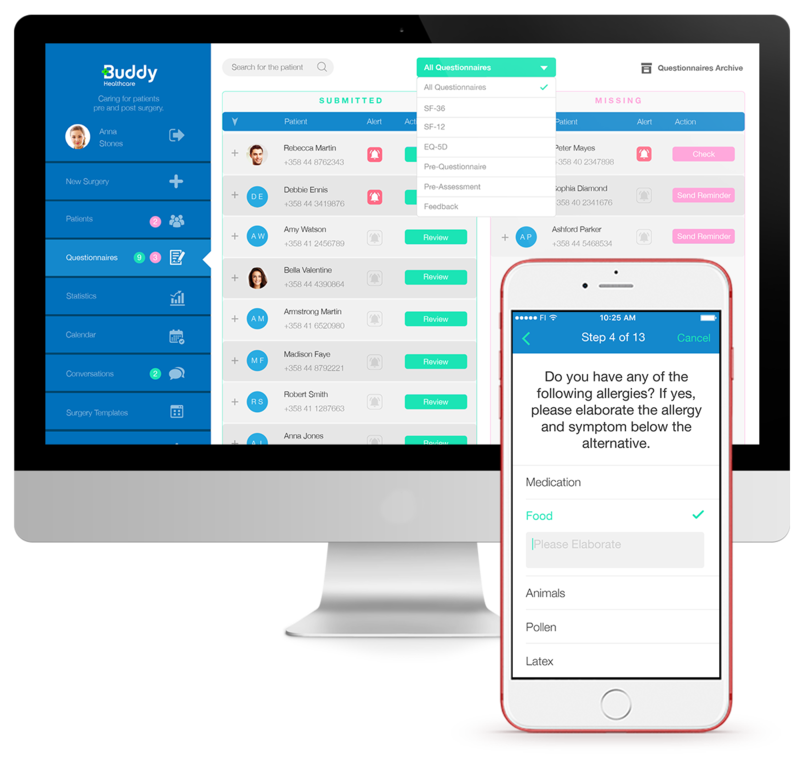 Get your clinic’s own CE, and HIPAA accepted easy-to-deploy BuddyCare App with your logos, colors and address information.